As you may know by now, we have new kittens. We adopted them from MEOW Cat Rescue and they're absolutely fabulous. 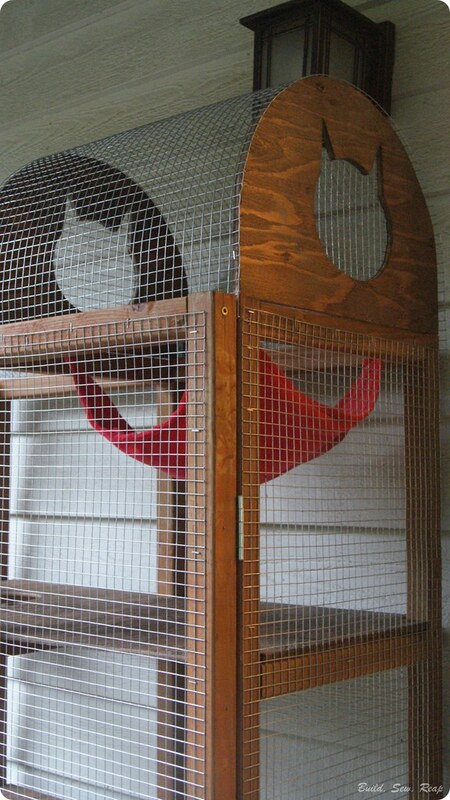 I'm having fun spoiling them rotten (see my post on the Bookshelf Cat Climber for an example). 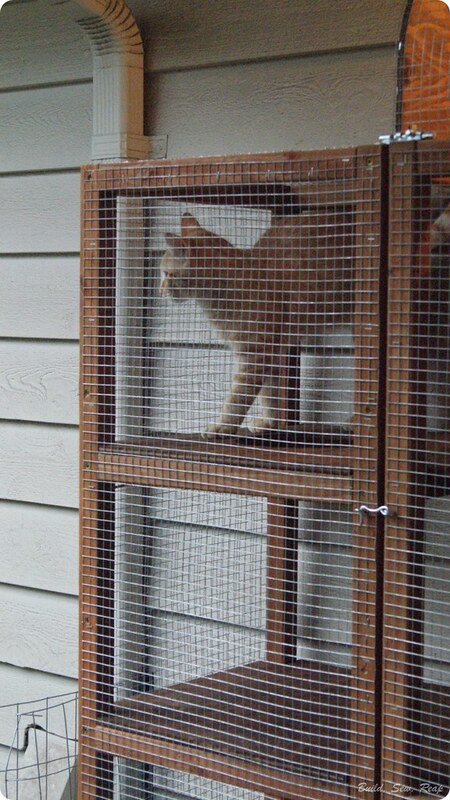 Once I knew they were happy inside the house, I decided to build them a cat patio or catio so they could get some fresh air without actually being able to wander off and get in trouble. 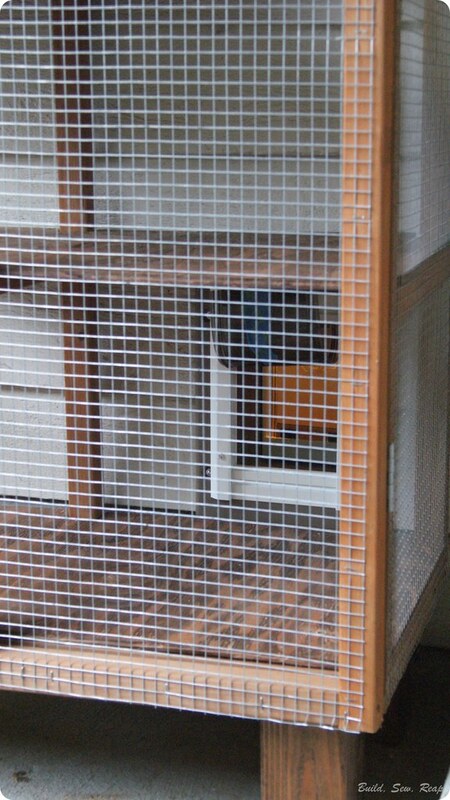 As an added bonus, the catio is placed not too far from the chicken yard. It is far enough that the chickens won't feel threatened but close enough for the cats to spend hours staring in wonder at what they'd like to think is their next meal (fat chance kitties). 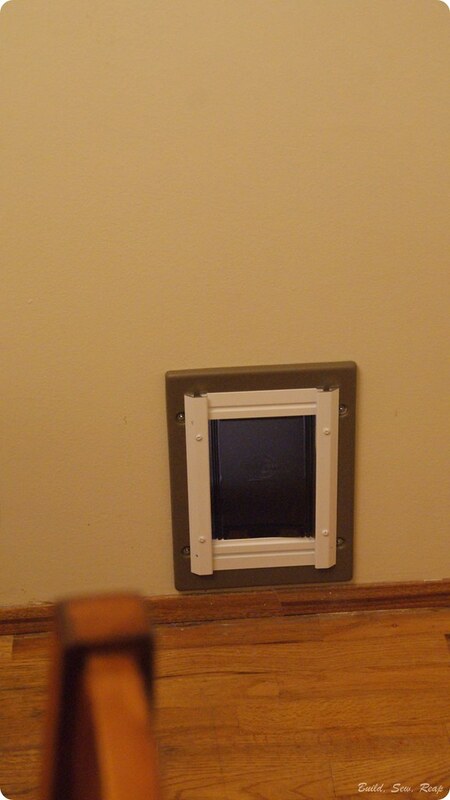 Down just above the baseboards, below that arrow, there's a cat door. 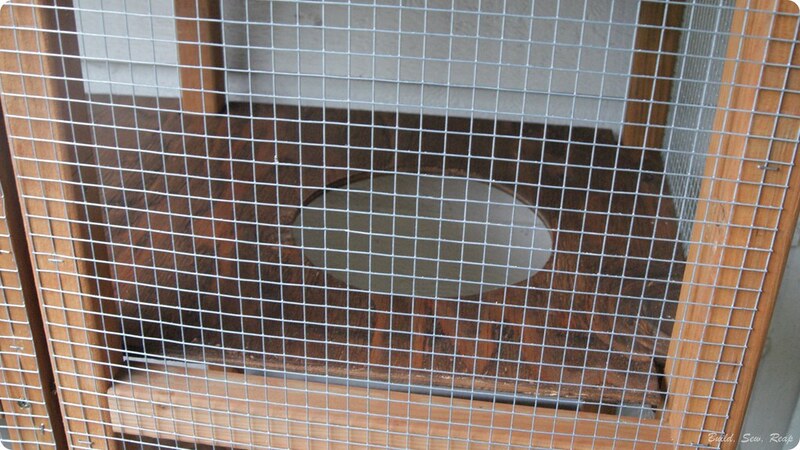 Through that cat door is the outside but it is a safe outside. Safe for my kitties and safe for the local wildlife. But wait, it isn't just a little box. It's a full on CATIO!! 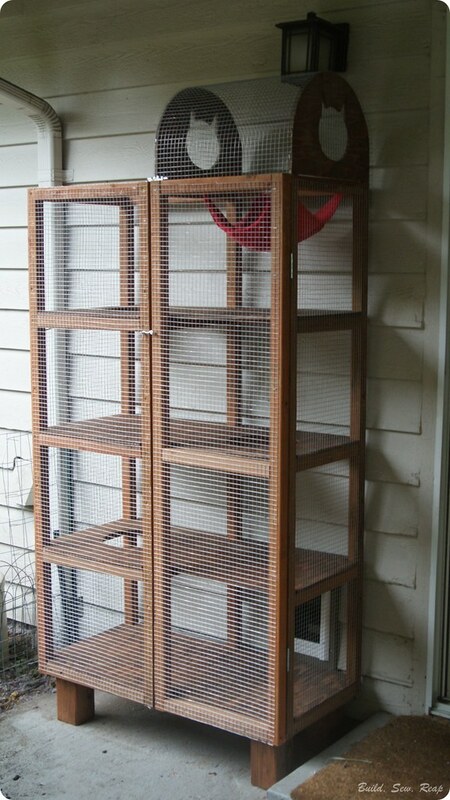 The catio features pass-through shelves, just like the bookcase cat climber. It also has a loft with a hammock (special request by the 6 year old) and cat head shaped windows. At first I thought I had made a mistake by putting the loft on this side (I underestimated how tall it would be) but at night, that light attracts bugs and the cats LOVE bugs so it's fun for them. 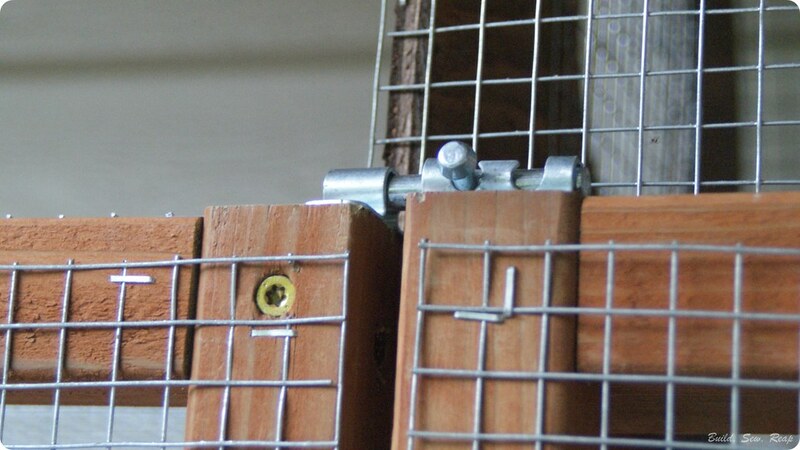 I added not one but two locks on our outdoor access door. 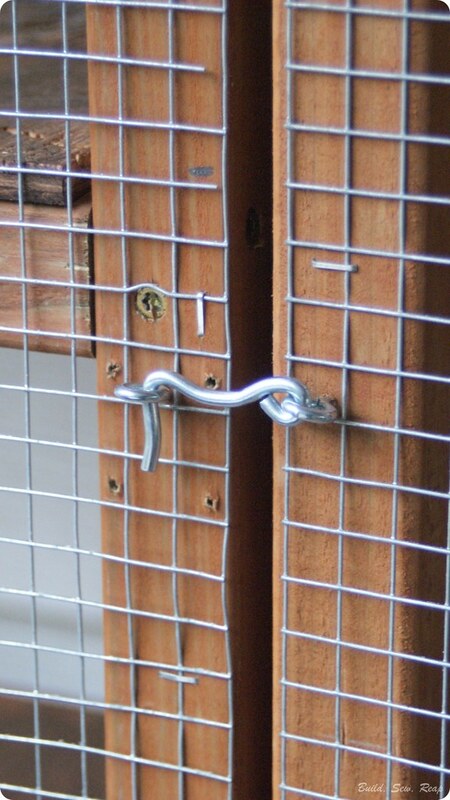 The top lock is out of the children's reach and is a tighter lock just to ensure the door stays closed. Teddy figured out he can watch the chickens from his new perch. Do you have a special outdoor place for your pet? 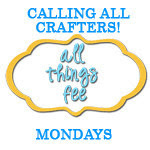 Please link to your post or a photo if you'd like to share. I'd love to see what you've done. That turned out amazing Julie!! 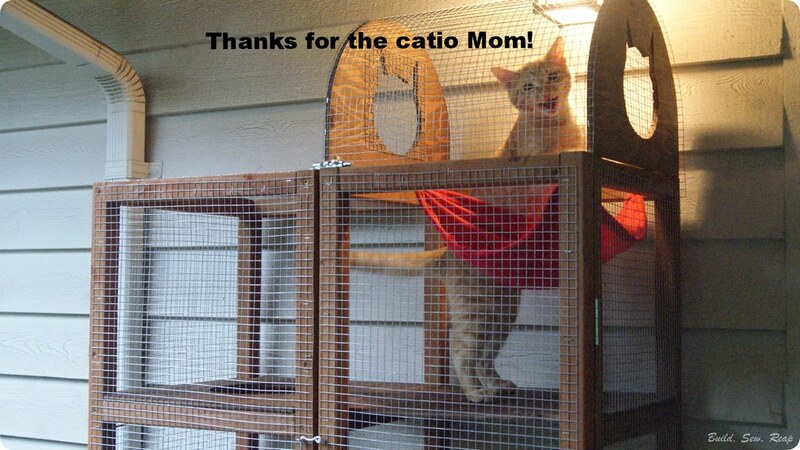 I really need to invite you over so we can plan MY catio for Milo and Nixe! You are so talented! Seriously- Your "out of the box" building skills blow me away! Thank you so much Felicia. My brain LOVES to work through building projects, I feel very fortunate so many of them turn out as I planned (or better, that's a major bonus when that happens). What materials were used for this project? 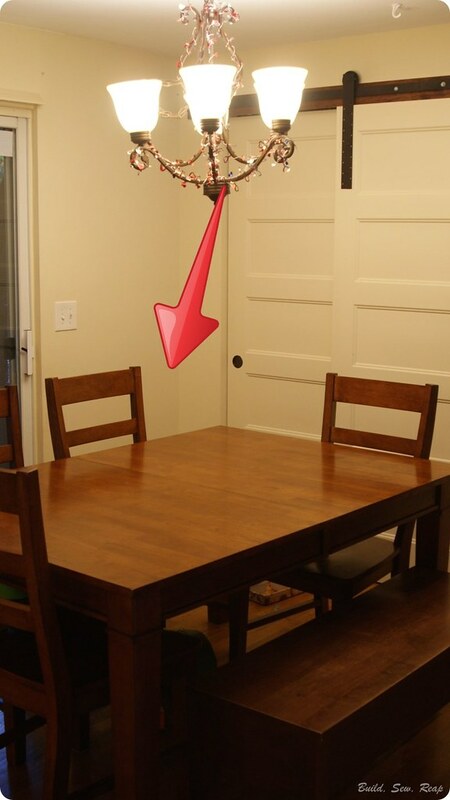 I would love to know dimensions, etc, as I think this is closest to what will work for my own space.